Council is advising householders of bin collection arrangements over the holiday period. Residents are reminded of changes to bin collections and opening hours at recycling and leisure centres in Mid and East Antrim over this week’s holiday period. Citizens in Ballymena whose bins are due for collection on Wednesday, July 12 are advised that they will instead be collected on Saturday, July 15. Trade waste collections due to take place in the town on Wednesday will be carried out on Thursday, July 13. The same arrangements apply in Larne. There will be no residential bin collections on Wednesday, July 12 or Thursday, July 13 in Carrickfergus. An alternative collection took place on Saturday, July 8 for those whose bins would otherwise have been emptied on Wednesday, July 12. Collections due to take place on Thursday will instead be carried out on Saturday, July 15. The same applies to trade waste. Red and black kerbside boxes will not be collected in Ballymena or Carrickfergus on Wednesday, July 12. Alternative collections will take place on Saturday, July 15. Seven Towers Leisure Centre in Ballymena and Larne Leisure Centre will shut from 5pm on Tuesday, July 11, remaining closed on Wednesday and Thursday. They will reopen to the public on Friday, July 14. 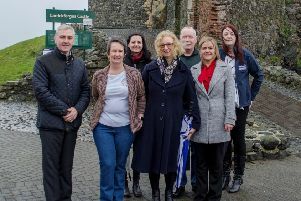 The Amphitheatre in Carrickfergus will also be closed on Wednesday and Thursday. Recycling centres throughout the borough will be closed on Wednesday, July 12. Normal opening hours of public toilets will apply on that date.